The first person to correctly guess the name/location of this building will get $20 in gift certificates for Grumpy’s Handcarved Sandwiches. Hint: It’s on High Street. Operators are standing by to take your – uh – emails and Facebook posts. Don’t delay! 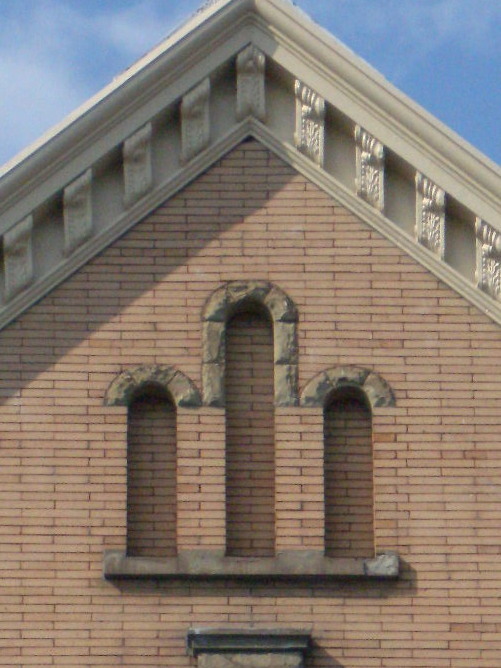 ANOTHER HINT: It’s not a church. WE HAVE A WINNER: DEBBY WEBER of Pottstown. She correctly guessed 311 E. High Street. There was a fierce competition between Debby and Becky Koniow-Marvel. 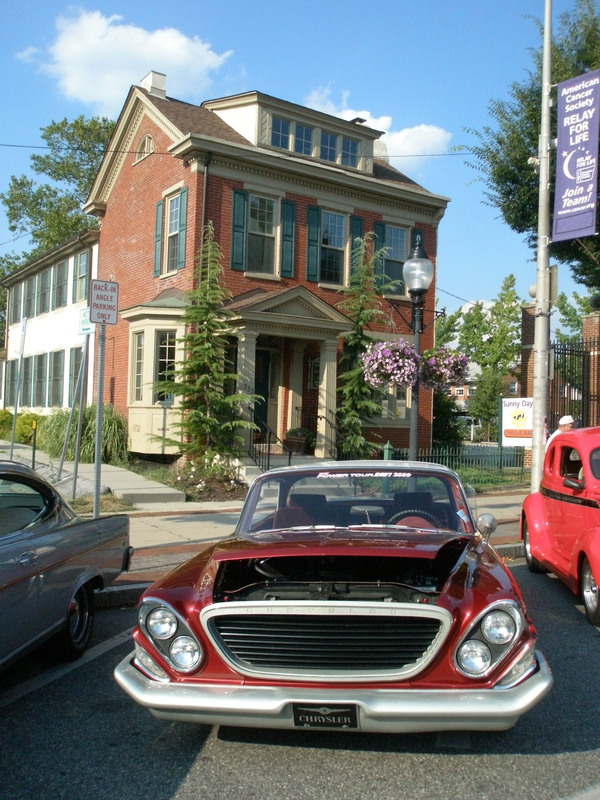 I just realized that Debby was the winner of our last “Name that Building” contest , so I’m going to ask that she hang back on the next one, although I admire her enthusiasm for Pottstown’s buildings! 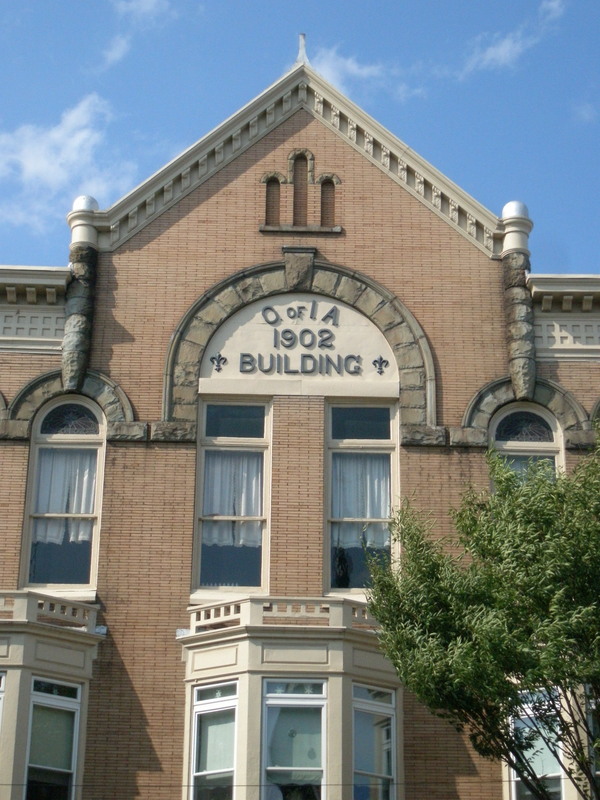 Here’s another photo of the Order of Independent Americans 1902 building at 309-313 E. High Street. And another view from the photographer “road_less_trvld” on flickr. I hope I have this right and this is what “O. of I. A.” stands for! The Order of Independent Americans was a fraternal organization from the 19th and 20th centuries. They seem to have had several councils in the region. Here’s a photo from one in Chester, and an article about a group in Hamburg. Does anyone know anything about the Pottstown council? Is the Order of Independent Americans still active today? If I change my name to Debby Weber do you think I would win the contest? Since she has to sit out the next contest, maybe you could just go with “Debby” and see if that works. This is so much fun! And I covet the lucious sandwiches Debby will enjoy at Grumpy’s. Next time I’m teaming up with Debby and Jeff! !